Provide Alice and her grandmother and other families with renewed hope this Christmas by your gift to the "Work of Christmas" fund. The "Work of Christmas" has begun by the Children of Grace Ugandan Staff. Alice and her grandmother's previous home has been demolished, the footings for a new home are poured, and the walls are on the rise and with your help, the Children of Grace Staff will complete and furnish the house by Christmas Eve. In addition, your gift can provide hope for hundreds of children, like Alice, through education, healthcare, empowerment programs, and mentorship. Your generosity this Christmas will do so much to transform their lives and offer hope. Thank You! Campaign ended on Feb 28, 2019. 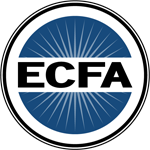 ECFA Member - Children of Grace is accredited by the ECFA and is committed to financial transparency and integrity, fundraising stewardship and the proper use of resources.